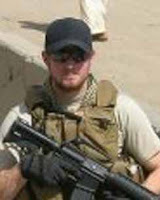 Will Simmons was placed by Orion International as a Manufacturing Supervisor with Actavis, a leading generic pharmaceutical company, in November 2009, exactly two weeks after leaving the military. Previously, he served in the Air Force as a Captain in the Office of Special Investigations. Since his transition, Simmons tells From the Battlefield that he has already received a promotion and that he can truly say that beginning a civilian career with Actavis was the best move he ever made. When he transitioned, Simmons found searching for a job to be a full-time job. “It's very difficult to finish your military duties while also going home each night to spend another three to five hours working on resumes and applications, only to start it all over again the next day,” recalls Simmons, “It is very frustrating to send out applications and hear either nothing back or be rejected while also going through the myriad of paperwork and meetings that the military requires for separation.” That frustration, however, changed to relief when he teamed up with Orion and landed a job with Actavis. “Just as I did when assuming a new command or new reports in the military, I sat down with them as a group and went over my expectations but then took the time to meet with each one of them to go over where they felt their strengths were, what weaknesses (in both themselves and the organization) they saw, and where there was room for improvement. I gathered all this information and then met with them again as a group to go over (with no attribution) some of the information that was brought to my attention. As a group, we went over the information that had been presented. It may sound like common sense, but the approach of reaching out to those that worked for him truly made a difference. Simmons attributes this approach to his experience in the military. He also accredit his military background with helping him develop the ability to think clearly and make decisions under stress, which is critical in a manufacturing environment that operates 24/7/365—often with products that can cost in upwards 1 million dollars in raw materials.